Vera's no different. Our managed care approach drives results for employers. Here's how. Managed care is only effective if care providers treat the right issues. In a typical clinical experience, a physician will only spend a few moments with a patient. Here's the problem. They barely have time to address the symptoms, let alone get to the bottom of what's really going on. Care teams develop long-term relationships with patients. Often, this enables them to identify issues before they are serious. They can also manage chronic issues efficiently and effectively. Patients spend 30 to 60 minutes with a provider at each visit. There's ample time to dig into issues and concerns to identify root causes. This allows the provider to both manage symptoms and identify long-term fixes. When a patient establishes care at a Vera clinic, they get most of the care they need at the clinic. This reduces usage of costly services like urgent care and emergency room visits. Primary Care: We provide a full range of primary care services from episodic sick care to chronic disease management. Preventive Care: We go beyond an annual physical exam. 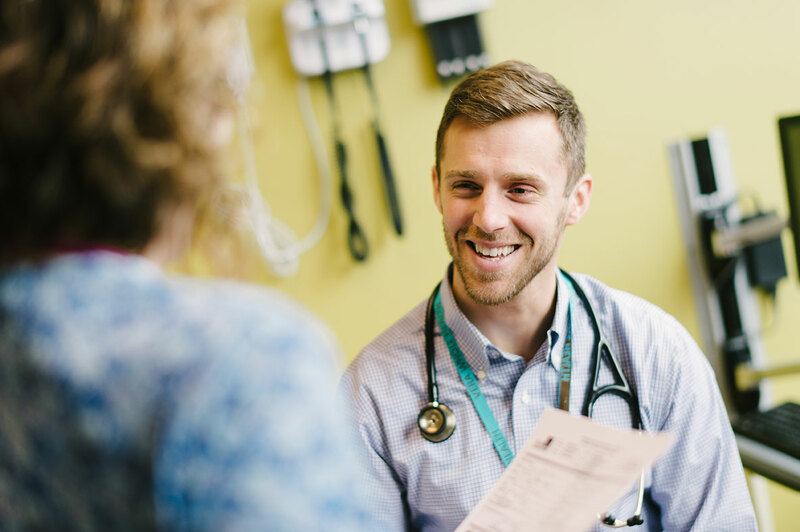 Our Annual Whole Health Examination, on-site health coaching, and comprehensive health risk assessments equip patients with everything they need to change behaviors and live a healthier life. Acute Care: Bumps and bruises, cuts, sprains and strains. Whatever the issue, we can help take care of it. Occupational Health: For employers with relevant populations, we'll also provide occupational healthcare. We have experience with drug testing, CDL testing, or treatment of work-related injuries. By centering all of this care in one place, and providing patients with access to Vera's clinic network in their city, we ensure that referrals only happen when they are actually needed. Prescriptions are another significant driver of healthcare costs. In a traditional setting, providers see up to 20 patients every day. Writing a prescription is often all they can do to treat their patients. When patients head to the pharmacy after their appointment, a claim is made against the employee's insurance. Over time it adds up. To reduce these claims, we offer a wide range of standard medications at our clinic. If a patient needs medicine, they'll walk out the door with it. For them, it means they're saved a trip to the pharmacy after work. For the employer it means no insurance claim ... and costs drop as a result. There are definitely moments when referrals and tests are necessary. When that moment comes, the Vera care team will coordinate everything — even setting up the appointment. But that's not where the magic happens. That occurs when the patient comes back to the clinic. We help patients make a seamless transition back into the clinic after a specialist visit or test. We focus on giving them the best care and, if at all possible, making sure they don't have to visit the specialist again. Our clinics show that managed care works. The costs savings are real, and it actually leads to healthier employees. What could be better? Learn more about managed care.